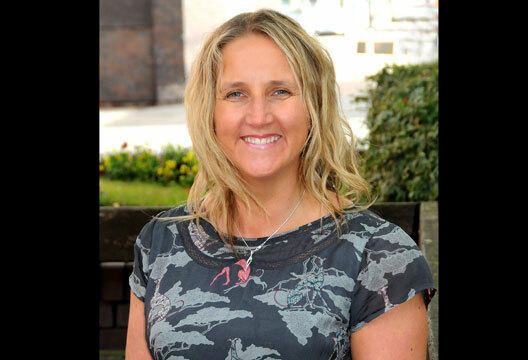 Dr Daisy Best is a Chartered Psychologist with North Yorkshire Psychological Therapies Ltd., Programme Director for the Doctorate in Counselling Psychology at Teesside University and Training Lead for the Division of Counselling Psychology within the British Psychological Society. Actually, I have two. Firstly, Mr John J. Jenkins – Head of Stokesley Sixth Form, who patiently and warmly supported me on the day that I failed my A-levels. He encouraged me to consider ‘What next?’ and through my tears of shock, I was able to hatch a plan. He believed in me and I am grateful for that.Dr Sally Woods was a very energetic, football-loving and inspiring lecturer on my psychology undergraduate degree at Liverpool John Moores University. She made complex issues accessible, she delivered important topics with great humour, and she was a very genuine and inspiring woman. She motivated me to embrace psychology into my life and has positively influenced the way that I teach others. I was working as an assistant psychologist in a learning disabilities service and the head of the Psychology Department (a clinical psychologist) suggested that I might be suitable for a career in counselling psychology, as this seemed to align with my personal philosophy and approach. I looked into the training, embarked upon the BPS Qualification in Counselling Psychology and became the psychologist that I am today. This was perfect advice informed by what was appropriate for my interests and philosophy; so thank you, Stuart Shuttleworth! Gain some experience working with people where you can make a difference, in whatever capacity that might be, as this will enable you to develop a whole range of skills in preparation for further training or experience. Speak to psychologists and find out what they do and identify the type of psychologist that you want to be, then work hard and believe that you are capable. Try not to focus upon how much time it takes; instead, appreciate the moments of learning and growth and be grateful that you are heading towards your final destination. So often it is our idiosyncratic self-doubt that stands in the way. Maintain some humility, never be arrogant – you are good (probably great!) but you are not perfect, so balance this awareness with a good dose of self-belief. Each time I have taken the risk to do something new or something unknown, the outcome has been personally enhancing and rewarding despite sometimes being challenging. When I dare myself to step forward, I reap the rewards, so perhaps you can too. Don’t hold yourself back. I visited Nepal in my twenties, and in 2017 I am returning to walk to Everest Base Camp to raise money for a local cancer charity. However, I love the UK and am always very at home in my walking boots on a mountain or in a forest, whatever the weather. I feel very lucky to be alive and to enjoy the beauty of our Earth at any given opportunity and recognise the benefits to psychological wellbeing of the vast and wonderful UK outdoors. When I stood in my wedding dress and vegetarian, purple Dr Marten-style boots watching my beautiful soon-to-be wife walk towards me in her wedding dress and sketchers. I felt proud to be free to make the choice to commit in such a public way and proud to be surrounded by people who don’t just approve of but who celebrate who we are. Oppression and discrimination is crushing, damaging and long-lasting and, as psychologists, we can proudly challenge this and be allies for each other and our communities. It resides within us and is enhanced by the relationships that we have with others. Having at least one person in life that I can fully be myself with is what gives me happiness. Attachments that are unconditional are more wonderful than anything else, and there is so much to gain from providing the same for others. Yoga aligns so beautifully with psychology as a way to live; a way to move, breathe, respond and rest. Two early-morning classes a week and an intention to live in a way that aligns with yoga philosophy, which is very humanistic in nature, is a wonderful way for me to care for myself and others. My achievements are usually mirrored by the achievements of others. Clients who allow themselves to accept that they are worthwhile, doctorate trainees who walk across the graduation stage in their robes, academic colleagues who develop a new way to improve the student experience, and volunteers within the Division of Counselling Psychology who campaign for, challenge on behalf of and celebrate the uniqueness of our profession. I play a role in all of these moments but they are not my moments, they are ours, and that makes the achievements all the more worthwhile. Maybe it’s because I’m a ‘Northern girl’ with a North East accent, maybe it’s because I’m a first generation graduate in my family or maybe I have expected less of myself than is fair, but in the past I would not have imagined that I would be where I am now. I often stop and remind myself that I do indeed have a grown-up job and that I have worked hard (and enjoyed the journey) to be where I am. I am a psychologist, I do hold a senior position and I am proudly involved with the Division of Counselling Psychology. I am here not because I am particularly different or special but because it is where I want to be. So, go for what you want in life, accept the challenges and keep moving – but don’t forget to breathe.